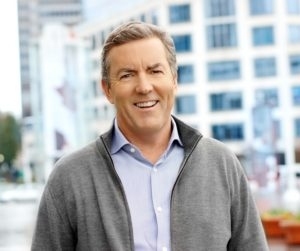 August 2017 – With over 40 years’ experience creating, selling and running mining companies worldwide, Ross Beaty is the founder and Chairman of Pan American Silver Corp., one of the world’s largest silver producers. He is also founder and Executive Chairman of global renewable energy company Alterra Power Corp. Ross is well-known for his environmental credentials, and was recently awarded the Order of Canada for his environmental philanthropy. “For mining and minerals, I would say we are probably back in a bullish market, after four or five years of bearish markets. We are in a short correction today – the metal markets are still a little weaker than they have been, but they are well off the bottom line and we will continue to see new highs. Then again, each metal is different. Zinc and copper, for example, are looking quite bullish and are probably the best base metals. We are seeing moderate health in gold and silver prices, relative to the lows we saw a couple of years ago. These markets are taking a bit of a pause right now, but that is perfectly normal and healthy. These could become strong markets in the coming years, driven by demand and global monetary policy. “Whether or not you believe in global warming, oil and gas have extremely negative outlooks so I would not be investing in them at all right now. Oil particularly has terrible demand and supply fundamentals. Demand is declining as people shift to electric cars, while we are seeing increasing supply from the shale oil boom and lots of new oil sources globally. Gas is a bit different – it is relatively cleaner than coal and can be used as a peak energy provider in conjunction with intermittent renewable energy supply, so it has very good demand fundamentals. But because so much gas has been found in so many places, I do not see prices increasing. “I am not exactly a Trump booster. I do not see anything he is doing as having a terribly positive effect, though probably not a terribly negative effect either. In the fullness of time, Trump will be forgotten – his policies will be ignored and he is going to have a very hard time implementing most of his plans. And this is a good thing for the world. I will be delighted to see him go. “Latin America has generally been a very positive place to invest; except for Venezuela, which is a disaster. Then, of course, we have Africa. Most countries, particularly in West Africa, have been very successful for companies, despite various political and social risks. There are a couple of outliers that have been difficult, such as South Sudan, Eritrea, and South Africa, which I think will continue to be a problem. “I wanted to do something proactive in the business world to help shift us towards sustainable energy, so I started a renewable energy company. It has been a steep learning curve. I began focusing on geo-thermal power but it has proven a risky and difficult business, so I moved towards hydro, wind and solar power. These technologies are much less risky, easier to finance, and have global scope for expansion. “It is far beyond the earth’s capacity to support our current lifestyles. If we do not moderate our consumption or our growth expectations, if we do not change our lifestyles, disaster is inevitable. We are already seeing serious problems with soil, groundwater and coastal flooding in parts of sub-Saharan Africa and Asia. I am strongly advocating for more recycling and less consumption. This will mean less growth in demand for metals and minerals, but that is how it should be. It does not mean the end of the global mining industry, as minerals and metals are fundamental building blocks of our industrial society.